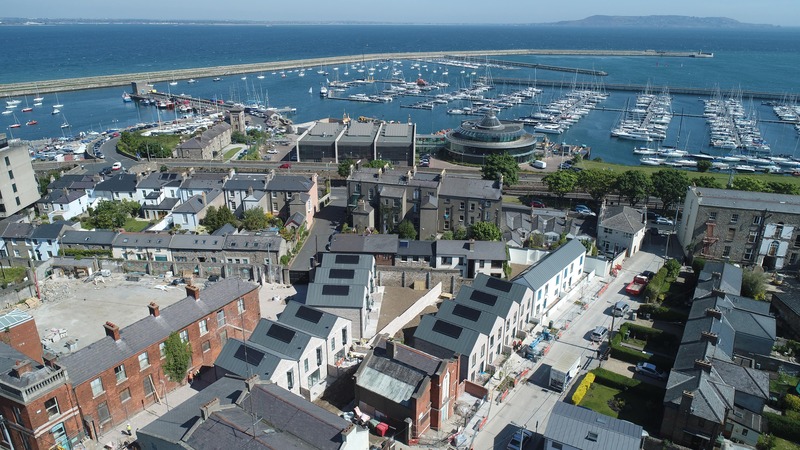 Aerial view of Rapid Delivery Housing, George’s Place, Dún Laoghaire looking towards Howth. 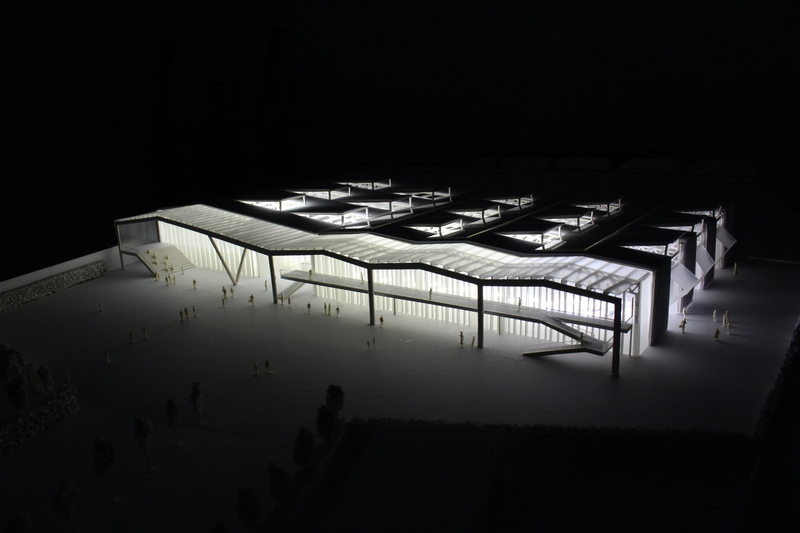 DLR Architects: Design, A2 Architects: Detail Design & Enabling. Projecting rainwater gutters and rain-chains to gable end of Sallynoggin Community + Senior Centre for Dún Laoghaire Rathdown County Council. 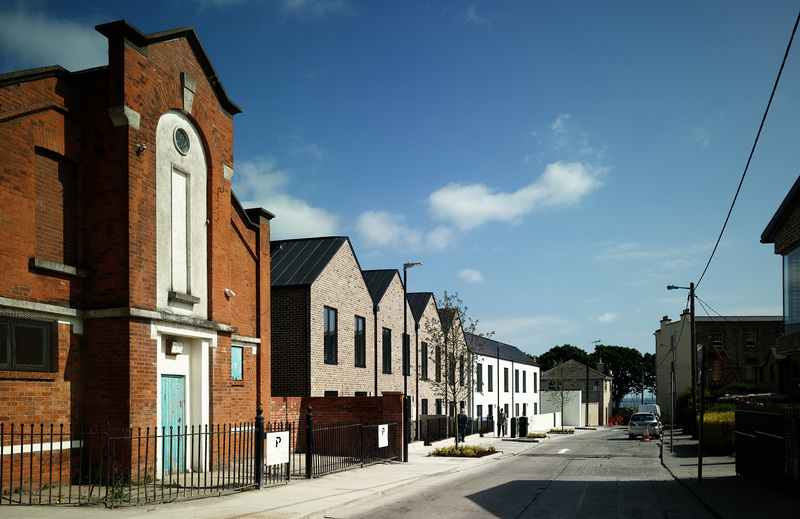 Sallynoggin Community + Senior Centre for Dún Laoghaire Rathdown County Council reaches completion. 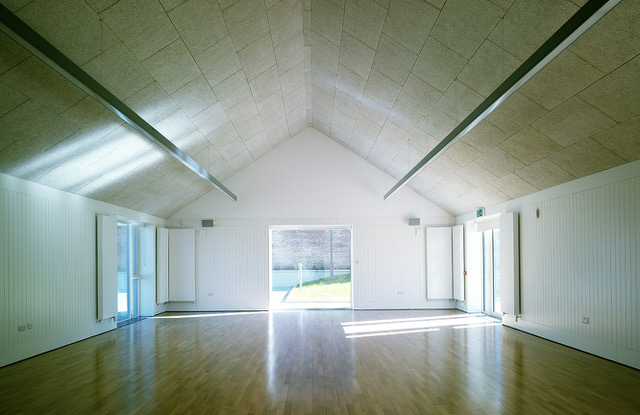 The centre includes a community hall, administration, kitchen and ancillary space. A south-facing event terrace as well as an allotment garden, bicycle parking universal access car parking are also provided. 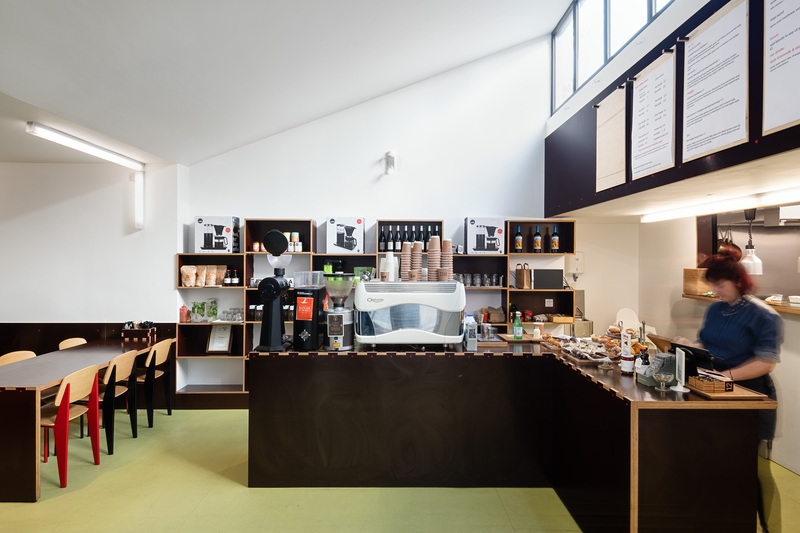 A2 close 2018 with one of our small favourites of the year, CANTEEN, a discreet ground floor cafe in a gabled end-of-terrace house in the heart of Georgian Limerick. 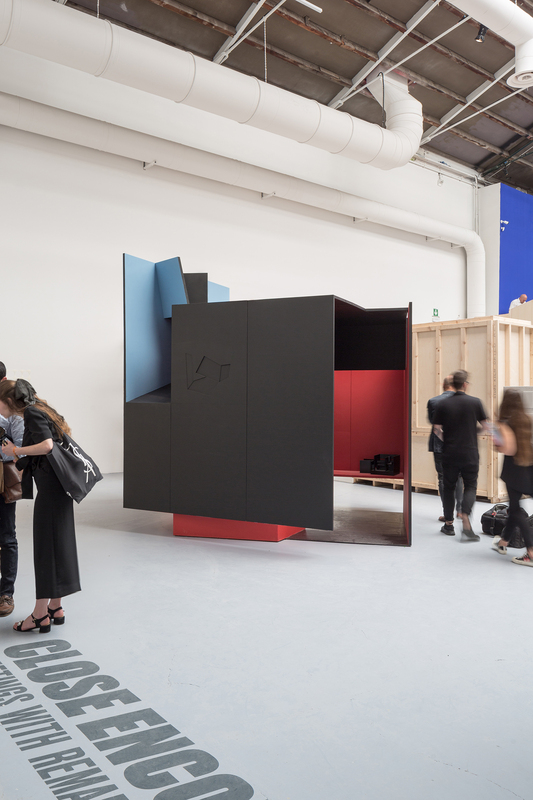 Furniture and fittings are singularly fashioned from formwork shuttering plywood. It always helps when the coffee and breakfasts are exquisite! A2 are delighted to be working with Dublin Institute of Technology on their new Broombridge Campus. The new campus will provide recreational and educational facilities for DIT Community, students and staff including sports facilities, social areas and educational spaces for design & build activities for the delivery of applied learning, innovation, enterprise and research education and training. 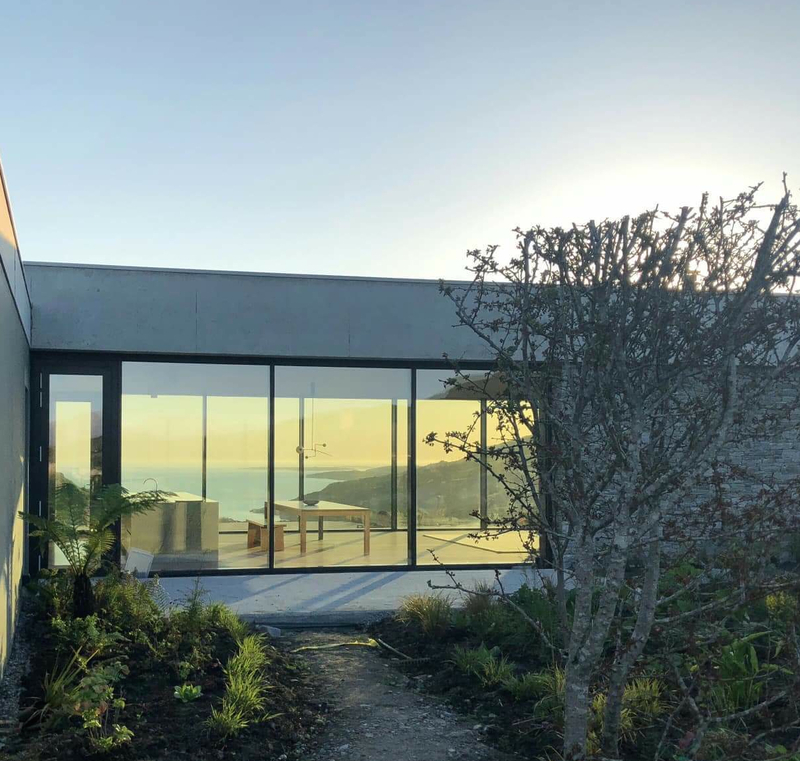 House at Sky Road, Clifden, Co. Galway is completed. The house, at the head of a valley, bridges one side of the site to the other with a 42 metre long fair-faced concrete beam that spans from a bedroom wing to a utility wing, thus generating an open-plan kitchen living dining space that enjoys uninterrupted views of the valley and sea beyond. 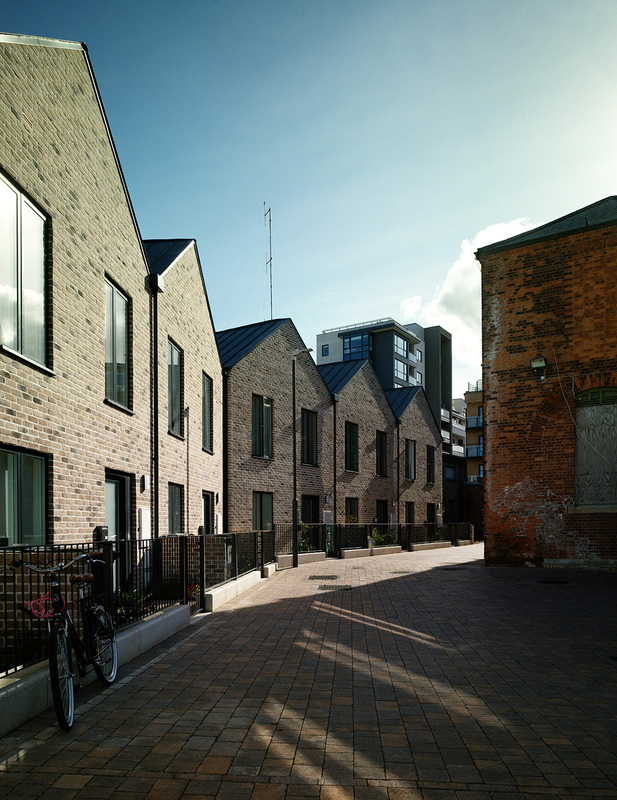 Rapid Delivery Housing at George’s Place, Dun Laoghaire are completed (DLR Architects Dept. 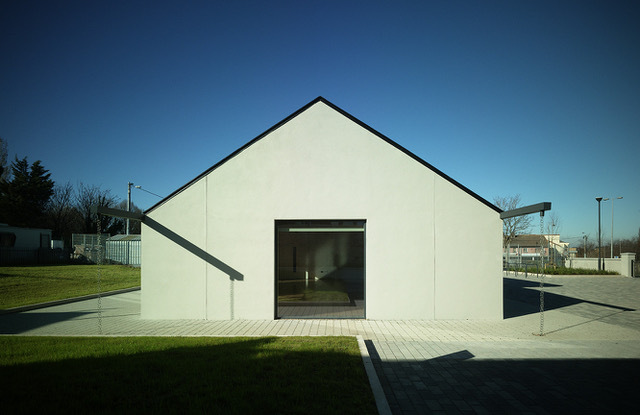 : Design Architects / A2 Architects: Enabling Architects – Detail Design to Completion / Main Contractor: SISK Living / Photography: Marie-Louise Halpenny) The housing will form part of Open House Dublin this coming October 12th-14th. 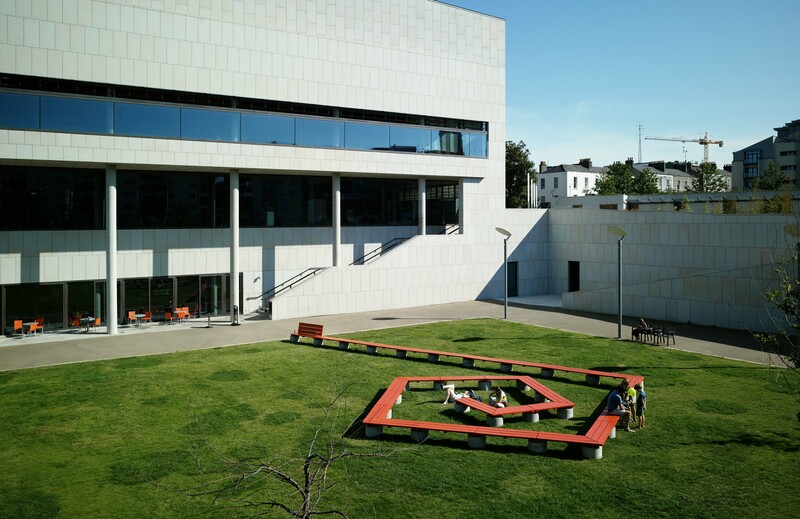 DLR Red Jetty is the winner of ‘Best Public Space’ for 2018 at the RIAI Irish Architecture Awards. A2 previously won ‘Best Public Space’ for 2014 with Granby Park in Dublin City Centre.